Learn how to sew a dress that fits better than anything you could buy. This collection is full of options. Learn how to sew a dress with more than 75 dress patterns for sewing. You'll find free little girl dress patterns, free pillowcase dress patterns, and other simple dress patterns in this stylish sewing collection. If you're looking for instructions on how to sew a dress for summer, the holidays, or special occasions, look no further. Learn to sew dresses for yourself, your kids, and even babies with these free patterns! Sewing dresses has never been easier with our collection of DIY dresses. Our free baby dress patterns are simply the cutest, and our summer dress patterns are so on trend that you'll never want to spend your money at the mall again. We could go on, but we'll let you browse our selection yourself! Whatever it is you need to make, whether it's for your own closet or for your little girl's wardrobe, you're sure to find a suitable dress pattern here. And with this much variety, your closet will be full and fabulous. The most difficult part will be narrowing down your next few outfits. Speaking of variety, join our weekly newsletter for the best sewing tutorials, projects, and resources. Sign me up for Sewing it Up! Plus! If you're new to sewing, don't miss our video tutorial on how to make a body form. It's a great way to make clothes to custom-fit your body! You can make baby dresses from pillowcases, t-shirts, and other fabric scraps because they're so small and cute! These simple dress designs are quick and easy to make, and they'll make your baby look stylish and trendy too! Just look at this sweet Two-Pillowcase Christening Gown shown. Use these gown patterns for sewing your baby a whole new wardrobe. It'll only take you a few hours to create one of these baby dresses, or even less, so why not devote some of your time to your baby's style and comfort? Plus, if you've been searching for a last-minute baby shower gift you can whip up in an hour or so, then you'll love these free baby dress designs. These DIY dresses are the best way to make sure your newborn is comfy and stylish! Use this free sewing pattern to dress up your baby or grandchild in a stylish dress. She'll be the talk of the town in this pattern featuring cute flowers and petal-like straps! This baby gown pattern uses knits perfectly to create a knotted baby gown. There's also a free tutorial on how to make a matching elastic headband! Nothing's cuter than a little artist, especially when she's decked out in this pop art-inspired dress pattern. Dress your baby in this artistic outfit, inspired by the famous album cover Mr. Warhol himself created for the Velvet Underground. Turn a pretty pillowcase into a pleated dress for your daughter using this free, easy sewing pattern. The finished dress is comfy and roomy with an oversized bow on the front. Learn how to make a dress for girls that will be passed down for years to come. Inspired by vintage designs and fabric, this piece includes a tiny bodice embellished with buttons and a cute collar. Get the look for less by making your baby this knockoff dress. This budget-friendly sewing project looks like it costs much more than it actually does. Turn a single pillowcase into a darling dress for a little girl. Cute details like the little sleeves and the ruffle down the front make this a great free sewing pattern for kids. You can use a pillowcase you have or find a new, perfect design for her. Any baby will look cute in this free sewing pattern. Equipped with a free printable pattern, easy-to-sew instructions, and the cutest design you ever did see when it comes to sewing for baby, this baby dress pattern would make a great birthday gift for your girl. Just follow this easy sewing tutorial and your little girl will have a new outfit in no time. An absolute cinch to put together and super lightweight for your baby to wear, this DIY girls' dress makes the perfect jumper for summer! It may be simple but it's truly adorable. Want to make a special dress for a baby girl gift? This tutorial includes a pattern to make a size 0-3 month lined baby dress that is lined. It's the cutest, most comfortable dress ever and this rose pattern would be ideal to replicate if you can find the fabric. If your little one has an upcoming christening, then create a gorgeous DIY christening gown with this unique and budget-friendly idea. With a little imagination, you can use this free sewing pattern to make a beautiful gown Mom and Dad will cherish forever. Your little girl will shine brighter than the sun in this bright dress. She'll never want to take it off! Use a cute patterned fabric like that shown or choose a summery yellow pattern that will scream "sunshine!" everywhere she goes. Find more free dress patterns in our free eNewsletter: Sewing It Up! Learn to sew dresses for your daughter or granddaughter with these free little girl dress patterns. There's something for every little girl's style, from t-shirt ruffles to pillowcase dress patterns to whimsical costumes. Find dress designs for sewing a new wardrobe for a stylish little girl! Your girl will have so many free frock patterns to choose from when you show her these options. She'll probably want you to make at least two or three of them for her to wear and show off her fashion sense. The best part about these girls' frock patterns is that they're stylish yet easy to move in, which makes them perfect for playing outside. Whether you've been searching for a new dress for Easter sunday, or if you just need a simple summer sundress for trips to the park, you can't go wrong with these free dress designs for girls. Can't you just imagine your adorable girl in an adorable dress like this Vintage Lady Dress Pattern? Transform t-shirts into a dress for a fun, simple sewing project for kids. This thrifty, upcycled dress is perfect to wear to a child's birthday party! This affordable DIY project is perfect for all skill levels! A sewing pattern for girls, this pillowcase dress tutorial is quick and easy to work up. Is your little girl in need of a new dress? This patchwork darling was designed for a toddler and looks especially cute in a floral pattern. This adorable outfit is totally darling and will barely cost you a penny. Simply add rose petals to a T-shirt to get this cute look. Of all the Halloween costume patterns for sewing, this one just might be the easiest. Your little girl will love wearing this dress to school or while trick-or-treating on Halloween. Don't miss this free t-shirt dress pattern for girls in sizes 3 to 12! With the right fabric or print, this little t-shirt dress can be dressed up or down and would be perfect for your family photos. Your daughter will love it if you make her a Cinderella costume for Halloween! With this tutorial, you can easily learn how to sew a princess dress step-by-step that will transform your little girl into her favorite lady. This adorable dress is the perfect easy-to-make outfit for your favorite little girl. All you have to do to refashion an oversized sweater into an unbelievably chic dress is to follow the tutorial on the page. This is an easy dress to make once you've gathered all your materials. Check out this dress pattern tutorial for all measurements, tips, and tricks for enhancing your chances of coming in first with this striking dress. This costume will undoubtedly be a huge hit if the recipient loves the movie that inspired it. Watch her as she whirls about in her new frock while belting out her favorite songs from the feature film. This adorable dress is made up of feminine ruffles that will make her feel like a real princess. Use this free dress pattern this summer to make a sundress, or have your girl pair it with some warm leggings and a sweater for a cute fall get-up. Get yourself in the spirit of sunny weather by sewing a dress your little girl will love love.This sundress is the perfect outfit for her to wear when the sun in shining and the weather is warm. Give your little girl the best beach cover-up out there with this fun and budget-friendly tutorial. This summer sewing tutorial is the perfect way for your little one to look cool and stay dry at the beach. Girls will love wearing this adorable summer dress, which looks great in light summer fabrics like cotton or seersucker. This tutorial for how to sew a dress includes a trendy braided neckline and adds the perfect touch to an already too cute ensemble. If you have a little dancer in your life, you absolute have to get started on this tutorial. Any pretty little princess will feel absolutely royal when she slips on this adorable little tutu dress. There are many simple dresses to sew that utilize old clothes and upcycling, and this is one of them. How cute would it be to make a new dress for your daughter out of your husband’s old shirt? A staple of any summer wardrobe should be a simple shirt style dress. And the more tropical the print, the better! Nothing will make your young lady welcome summer in style than this fun dress pattern. It's stylish and cute and has a fit that every gal will love. You can make your daughter or granddaughter the perfect holiday dress that she'll love showing off with this stunningly pretty pattern. With this free dress pattern for girls, you can make an adorable dress that's perfect for a family dinners, holiday parties, and school programs! Make your granddaughter an adorable sundress she won't be able to stop wearing with this pattern. This adorable dress pattern for girls is the perfect way for your little lady to keep cool and play in comfort. This is the perfect dress for your daughter to wear while she plays outside in spring and summer sunshine. If you're looking for simple ways to refashion clothes, this is a great place to start. Want to know how to sew a dress for yourself or a friend? These simple dress designs for sewing are quick and easy, yet fancy enough to wear to a special event or a night on the town. You'll feel like a veritable fashion designer when you use these free ideas for how to make a dress. People will ask you where you bought your dress and you'll be able to say that you made it yourself! For example, this Ultimate T-Shirt Dress Tutorial shows you how to make something super fashionable. This list of DIY dresses includes maxi dresses for spring and summer, simple dresses to layer with tights in fall or winter, and elegant dresses that are great for special occasions like weddings or other celebrations. We've even made sure to include printable dress patterns and other DIY ideas, so that you can make the dress of your dreams, even if you're just learning how to sew from a pattern. Make sure you're the best dressed woman at your next event with one of these new dress patterns. Make yourself a stylish summer dress that all your friends will love. This lovely dress pattern is comfy and cute, the perfect combination. This dress is stylish and comfy, a great dress to wear on a beach vacation. Nautical attire is almost always trending, and this is the perfect sewing pattern to catch on to that trend. Design your dream dress for an upcoming holiday party or special event with this tutorial. This bright and cheerful holiday dress is a welcome alternative to the LBD, so it's sure to turn heads at your next special occasion. Adding some style to your summer can be a breeze! This dress is a simple way to add some flair to your warm-weather wardrobe. The pattern will walk you through making a simple dress that you'll love wearing to the beach, to a barbecue, or just to lounge around. This long flowing dress is cut with an empire waist that would look right at home on the red carpet. The ruffles and folds in the fabric give the dress a professional look, and the coral color paired with turquoise accessories is totally trendy. This gown can be worn an infinite number of different ways! Learn how to sew a dress that you can use for any occasion, and no one will ever know it's the same dress. Perfect for summer, this breezy dress transitions well from day to night. Say hello to summer with a brand-new addition to your warm weather wardrobe. Put some old t-shirts to use by making yourself a hot mini dress. The black and white create a chic look that you can wear in both casual and formal settings. Do-it-yourself vintage has never been so hot. In preparation for warmer weather, this Dolce and Gabbana knock-off pattern brings runway fashion to your home for a cheap price. Retail merchandise can be expensive, but you don't have to neglect style to save money. Sew yourself this pattern to add a flirty new dress to your closet without spending big bucks. Learn how to make a dress for girls of all sizes from these simple instructions. The V-neckline, cinched waist, and winged arms are all components of this dress, making it a flattering design on any girl. Thanks to this dress tutorial, sewing a piece that works with typically troublesome spots like your mid-section is easy. Take advantage of the flouncy peplum accent to accentuate your finest features and optimize your self-esteem. This easy dress tutorial shows you how to create a dress that looks amazing with cute sandals in the summer or tights and a warm cardigan in the winter. Make a simply stunning dress that's perfect for any occasion with this free dress tutorial. This is the type of dress that will look fantastic on everyone. It's designed with a very easy slip-on and knit fabric, making it snug on your body without suffocating you. It can easily be modified to fit your body type, too. This jersey dress can be worn during the day with a blazer for some office style or on its own for a night on the town. This gorgeous free dress pattern is flattering, sassy, and surprisingly easy. This tutorial will help you learn how to sew a dress that's sweet, easy to make, and figure-flattering. The pleats accentuate the waist and give you a gorgeous feminine shape without being too tight. This pattern features a semi-fitted, color-blocked dress with flared raglan sleeves. It comes with a drafting tutorial so you can learn how to make the pieces of this dress a perfect fit for your size! Take a boring thrift store find from frumpy to hip and romantic with this tutorial. Channel your inner Stevie Nicks by creating a fabulous off-the-shoulder dress that speaks to your inner rock goddess. Scallops are an enchanting embellishment to any piece of clothing, and now you can create a project that uses them. This tutorial will show you how to create a dress that includes these lovely additions. It is such a trendy look that will garner lots of positive attention. Though, even if it looks fancy, it's still very comfy, too! This free sewing pattern is the perfect way to give your wardrobe a stylish, beachy feel, even if you live miles from the shore. The wrap dress silhouette of this pattern is universally flattering to all body shapes, and the skirt length is the perfect way to create a romantic bohemian look without showing a lot of skin. This unique design creates a modest V-neckline and frames the face, hanging loose from the bust to emphasize a smaller waist. Easily personalized to your ideal length, this dress pattern is available in several sizes, is made from knit fabric, and has short sleeves that make it the perfect dress for spring! This fun sewing tutorial teaches you how to make a sweet, simple summer dress that's perfect for women and girls of all ages. With this one-yard wonder, you can make a versatile dress that looks charming with pretty sandals or flats during the day and looks chic and flirty with wedges for an evening look. This is the ideal outfit for looking glamorous even in the summer heat. When you're not out celebrating with sparklers and baseball games, this DIY dress is both simple and sophisticated enough to be worn to work or out with friends. A flowing, glowing maxi dress pattern for beginners to try with oceanic color stripes, a tiny halter strap, and shirred chest. It's perfect for fun beach days! Stay cool both temperature- and style-wise. Easy to wear and equally as flattering, this looks casual and comfortable when sewn up in loose-fitting jersey knit fabric. Loose-fitting and wide across the shoulders, this dress pattern for sewing is particularly flattering for pear-shaped figures. Nothing is as easily chic for summer as a maxi dress, and this one is the perfectly stylish way to add a touch of class to your summer wardrobe. Simply choose a lightweight knit fabric in your favorite summer color to create a dress that's elegant and casual at the same time. When the summer sun is shining down bright and hot, you're going to need something to wear that keeps you cool and covered. Look absolutely adorable and feel like you are walking around in the fanciest tee possible with this t-shirt sewing project. Just because business casual means you have to cover up and keep professional doesn't mean you can't have some fun with your working girl clothes. Learn how to sew a dress that's entirely appropriate for an office setting, but that comes with some seriously sassy flair. With a couture yet flirty feel, this low-maintenance frock looks good on just about anyone. This free dress pattern will show you how to create the perfect dress to throw on and head to the beach, run casual errands, or chase the kids around in on a warm, sunny day. Dipping temperatures are the perfect opportunity to create fun, new pieces for your wardrobe, and this quick tutorial shows you how to make a sweater dress using materials that are already under your own roof. It's fun knowing there's no danger of running into someone else with your same outfit, because this dress is quick, cute, and original. Perfect for a date, a day out on the town, or a party with your friends, free dress sewing patterns like this show just how easy it is to make a frock that looks like it came straight from the catwalk. Follow this basic tutorial to create a new and versatile addition to your wardrobe in as little as a few hours. This is the easiest and comfiest outfit for summer. Use this step-by-step tutorial to make your own t-shirt dress out of just two yards of knit fabric. Whether you just miss the 60s and 70s or you need a dress for a wedding or a party, this should be your go-to dress tutorial. People won't believe you made this adorable DIY dress all by yourself, but follow this sewing tutorial and you'll be on your way to making a cute statement dress for any occasion. Fitted DIY dresses are so fashionable and sleek-looking in solid colors, especially this pink blush color. This sewing pattern isn't revealing at all; it only shows off your figure. Whether you know how to sew a dress or not, you can make this gorgeous and simple shift dress. The bell sleeves make this dress perfect for a casual spring day, or it can be dressed up with some accessories and jewelry. Long dresses for summer are so en vogue now! This DIY maxi dress will be flowing with every step you take, and it'll be easy to walk in because of the side slit. Travel back in time and create an easy and adorable ladylike dress that's perfect for channeling your inner 1950s starlet. This free sewing tutorial shows you how to make a lightweight dress that's great for warmer weather and that also looks chic with tights and ankle boots for fall. There's no piece of clothing as essential to every woman's wardrobe as the LBD, a.k.a. the little black dress. This free dress pattern is the best way to make a fit-and-flare dress that's flirty, classic, and stunning all at the same time. This free dress pattern is the perfect combination of vintage-inspired style with a modern edge. Inspired by the 50s shapes and silhouettes worn by Princess Grace, this A-line dress is a fashion-forward pattern that can be worn any time of year and is great for any working woman. Take your wardrobe from summer to fall with a dress that looks adorable on its own or layered with fun fall fashions. Use a budget-friendly tank top and turn it into something chic and stunning with this easy sewing tutorial. Summertime is dress season, so celebrate the warm weather by using one of these dress patterns for sewing a breezy sundress. Sew up a quick dress from a pillowcase or even a beach towel to fit girls and women of all ages, like this pretty Boat Club Dress Pattern. Then throw on your homemade frock and hit the beach! Use any of these sundresses as a cover-up over your swimsuit, and you'll be super-stylish even before your toes hit the sand. This list of DIY dresses includes patterns for girls, teens, and women, and includes lightweight options perfect for warm summer weather. Whether you've been searching for a short and chic sundress to wear out shopping or a quick and easy cover-up for the beach, these DIY sundresses are a simple solution to completing your summer wardrobe. This will look stunning on your daughter or granddaughter. The long layers and adorable little tank top make it the perfect dress for summer. Make a cute sundress that's perfect for the hot summer with this free sewing pattern. This dress is so easy to make, you'll want to sew several for your little girl to wear all summer long. No need to leave the house or head to the mall to find a new dress! All you need to learn how to sew this pattern is your machine and a shirt you can steal from your man. This cute and casual piece is a great dress for just about any occasion. Created from an old t-shirt, it's comfy enough to wear to school, yet fancy enough to make a great Sunday dress for church. Inspired by J.Crew, this homemade dress maintains all the sophistication of professional design without the heavy price tag. It may be fit for a grand estate, but the cost of this DIY dress will make you happier than any high-end piece. Learn how to sew a dress that is great for Easter or just everyday wear. She is sure to love this beautiful floral dress! It is unique, sunny, and absolutely adorable. This is a fantastic easy sewing project for welcoming warmer weather. It's literally the perfect swimsuit cover-up at the beach or the pool, and it is so easy to make. This is just perfect for summer wear, both casual and dressy. Sew up the tank, then follow the tutorial to attach the skirt. So cute! This easy sewing pattern uses light, cool fabric that won't make you overheat between dips in the ocean. If you're ready for summer sand, sun, and waves, make this DIY swimsuit cover up your next project. Made with a light knit, this lovely DIY dress is comfortable and doesn't even need to be hemmed. Striking features like the gathered bodice and skirt of this eye-catching dress resemble soft pleats. Celebrate the warm, sunny breeze of summer by making a maxi dress pattern that is flattering, fancy, and tropical. This free dress pattern for sewing will help show off your curves while draping nicely over areas you might be self-conscious about. High-low dresses are one of the hottest clothing trends right now, and you can flaunt the fad in this dress. The bandeau top is another fashion trend that compliments any figure. Using less than three yards of jersey knit fabric, this gorgeous free dress pattern for sewing shows you how to create a t-shirt dress you're actually going to want to wear in under two hours. The pattern combines an old tee you still love with a very simple skirt pattern to make the comfortable and flattering dress of your dreams. This dress looks absolutely preppy and adorable. It would be an amazing piece to wear to just about any party or gathering. Take all your old tees and transform them into a stunning dress you'll actually want to wear with this how to make a t-shirt dress tutorial! This piece of gorgeous summer wear will look stunning with your statement jewelry and strappy sandals. 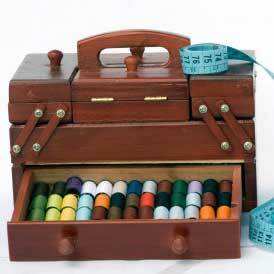 Enjoy the warm weather to the fullest by indulging in sewing projects you can show off at the beach or barbeque! The top portion of the dress is fitted to show off your curves, while the bottom is loose, flowy, and perfect for dancing at the cabana. This free dress pattern is going to be your new favorite summer wardrobe piece. Made out of an old tank and some lovely floral fabric of your choosing, it's as casual as it is cute. This sewing tutorial with show you how to make a dress that has a loose and flowing figure, which is perfect for warm weather. The fitted sleeves make it a little warmer for the spring time, and the neckline is a rounded crew neck so it's not revealing but also comfortable. Design a quick and elegant maxi dress that doubles as a swimsuit cover-up with this maxi dress. Made with a few yards of striped jersey, this DIY swimsuit cover-up is the perfect way to go from the beach to an evening out, and it's sure to become your go-to dress for summer vacation. Channel your inner Jackie O with this gorgeous DIY cover-up that looks designer without the price tag. This is a fashion-forward way to transform two yards of pretty printed fabric into a 60s-inspired DIY cover-up that's perfect for the beach. This DIY dress will certainly be your summer time staple for everyday wear. You can dress it up with some accessories and jewelry for a night out. With this dress pattern, you can finally own a beautiful and flowing maxi dress with the correct dimensions. Try using chiffon or lace to achieve a light and airy effect, which will make this simple dress tutorial the perfect summer lounge dress for wearing on errands around town or as a sheer beach cover-up. Design a sundress that's chic, effortless, and, most importantly, incredibly comfortable. Made with less than three yards of soft knit fabric, this DIY maxi dress is perfect for lounging in, yet still dressy enough to wear out during the day. This DIY dress tutorial is perfect for learning how to design your own bodice, how to create ruching, and how to dye clothing to create a pretty ombre effect. This summer sundress tutorial is similar to bohemian styles seen with brands like Anthropologie, but it allows you to custom design your own dress in your favorite color, perfect skirt length, and with different dyeing effects. Refashioning and upcycling dresses is thrifty, easy, eco-friendly, and fun! Some of the most stylish dresses can be made from upcycled t-shirts, tank tops, and stash fabric. If you want easy instructions on how to sew a dress, start here--it doesn't get any easier than this. A DIY dress can save you a lot of money and frustration from shopping, so start one today! These easy refashioning projects are an excellent way to save money while sewing, and they're a great way to take an ill-fitting garment and transform it into something that fits your body like a dream. This list of upcycling projects also has some fun vintage throwbacks, so if you can never get enough DIY vintage, then this is the list for you. Start with this summery Denim Shirt Dress Upcycling Project and then check out the other projects below. The elastic waistband dress in this pattern is a great first sewing project for the beginner sewist. If you want to make your own clothes, try this cute sewing project first! With just a few simple materials, you can make this beautiful dress quickly and easily. The project is so easy to tailor to your shape and size. Take an ill-fitting knit top and turn it into a fabulous maxi dress. There's no need to buy brand-new fabric when you want to learn how to make a long dress for summer. All you need to make one of these free dress patterns is an old, too-big skirt and just under a few hours. You're going to be amazed at how easy it is to learn how to sew a brand new DIY maxi dress pattern out of an old skirt. A plain dress and a few ruffles go a long way in this easy beginner sewing project. Whether you have a stain to cover up or just want to fix up a dud, this free sewing tutorial for how to recycle clothing will create the girls' dress pattern you've been looking for at a very low price. Turn a vintage vest and some thrifted fabric into an enchanting maxi dress that can be worn alone on warm summer days or layered with tights and a sweater for fall. A budget-friendly way to update your wardrobe, this easy refashioning project is flattering and fast to sew, so that you can create a new dress in a single weekend. This free sewing tutorial shows you exactly how to use old pieces to make new wardrobe wonders. These dress patterns for sewing are stunning wardrobe refashion projects that look right off the shelves at a cute boutique. Flouncy tiers on this DIY dress add extra movement, while stylish straps reveal just the right amount of skin. Take some time to create a dress from scraps that will make you feel like a new woman! Learn how to sew an easy dress from an extra large man's sweater with this dress pattern tutorial. Loose where you need it to be and made with a heavy knit of your choice, you'll feel like you're wearing a hug all day rather than a DIY dress. All you need to get a completely authentic 60s vintage look is an old pair of polyester pants and a big T-shirt. Get out those platform boots and some big hoop earrings to complete the 1960s look! When you next prepare for an evening out, you'll be glad you took the time to sew together this LBD. Featuring a dark underlay covered with elegant black lace, this DIY dress will play a vital part in your social outings going forward. All you need is one of the old camisoles you have lying around to get started on the free dress pattern. With just a few materials and little to no extra purchases, you can refashion your very own clothing. If you have an upcoming wedding, prom, or other special occasions, then you don't want to miss this collection of special occasion gown patterns. From fancy frock patterns for weddings to DIY prom dresses that teens will love, this gown pattern list is the perfect way to show off your style and sophistication. We cannot get over the mix of sophistication and fun of this stunning Red Carpet Evening Gown Tutorial shown here. If you would like to use a fabric that's a bit more subdued or one for day events and one for night events, you can choose more fitting fabrics for your personal style. As far as the rest of the patterns in this section go, you are sure to find several you'll love. Such flattering designs for all sorts of events. Just take a look and see what you think and want to make for your own life. Style this DIY maxi dress idea with some lovely jewelry and strappy sandals to put together a summer outfit fit for a sunny goddess. You are going to absolutely love wearing this flowing and flattering maxi dress tutorial. Make a gorgeous spring dress that's a modern take on classic 1940s Hollywood. Inspired by old Hollywood glam, this DIY skater dress is the perfect excuse to play with color and print this year, and shows you how to make a trendy keyhole neckline. Create an elegant and timeless maxi dress that's perfect for parties, weddings, and graduations. This free dress tutorial shows you how to design a demure maxi dress with a playful vintage vibe with just a few yards of lace and lining. This was inspired by a red Valentino dress that has been worn by celebrities to big events. With about two and a half yards of stretch knit fabric, a fitted dress pattern, pattern paper, and matching thread, you’ll be all set to make your own red carpet dress. Thrift store buys can fit awkwardly, but with this sewing tutorial you'll be able to turn a vintage mess into a DIY dress that flatters your figure. With a few adjustments here and there, you'll have a new dress that you'll want to wear every chance you get. Make this gorgeous 50s-style tea dress with knotted shoulders. Give in to your fashion cravings by sewing a dress for yourself that has all the bells and whistles. This dress perfectly conveys a sense of glamour with features like a single shoulder strap, lace overlay, and sequin embellishments. There's nothing more fun than a night out with your girlfriends. This dress makes the perfect outift for a bachelorette party (or really any fun occasion). You'll bring the party to a halt in this gorgeous dress. This DIY dress is absurdly easy and quick to make, but looks absolutely phenomenal once it's finished. Design a gorgeous maxi dress that doubles as a skirt in just 1 hour with this 1 Hour Maxi Dress Tutorial. Made for less than $10, this quick and easy maxi dress tutorial shows you how to create a flowy and comfortable dress that can double as a full-length skirt and makes a stylish maternity outfit if you're expecting. All you need is a gorgeous fabric, some elastic, and a little imagination to create a stunning dress that can be worn in every season. This easy maxi dress is incredibly versatile and can be worn as a loose strapless boho dress or can be belted to give it a chic and stylish edge. Make the ultimate dress in just 60 minutes with this 1 Hour Maxi Dress Tutorial. What's your favorite style of dress to wear? Let us know below in the comments! I like the shirt dresses of the 1950s-60s. off the shoulder dress, one shoulder dress patterns? Do you have any dress patterns for older people, I am 74 years old and every time I see something l kind of like my daughter tells me that it is for younger girls. I would love to have some patterns from the late 50's and 60's if you can find some for me. I love the dresses from the 50's and 60's era too but do not see much of them worn today. There are some vintage clothing on allfreesewing.com if you go to the search bar and type it in. You can look around at these patterns and mix and match the top and bottoms and create your own. That is what I usually do and if you change the fabric to look vintage it may work. I love to sew my own things so I can get the look I want. Hope this helps some. If you find something thou let us know. dear nprushinski, any woman over the age of 70 is entitled to wear whatever she wants to wear!! ignore your daughter's advice and use whatever pattern/s you want to use. carpe diem!! I prefer v-neck, empire waist, full circle dresses. I prefer patterns that hang from the bust so my big waist doesn't show. I'm really into swing dresses. As pretty as I think fitted dresses are, they weren't made with me in mind. P.S. I'm REALLY into that Mock Turtleneck Dress. Like... how cute is that? How about some dresses for the large woman? Fitted dresses are not suitable for us. Being large means we have to make our own clothes, as shop bought never fits. Must I understand that the measures are in inches? I'm sorry about the question but in my country we use centimetres and the figures doesnt fit. I love a flared skirt! My favorite style of dress is a simple shift with a jacket. I do not like extremely fitted dresses or ones with belts. I feel dressed with a jacket with no front closure. The color or other accent of the dress is able to show through. My favorite style of dress is empire waist - loose and comfortable. Being male I don't wear dresses, but I do wear kilts. I sew for my wife and daughter, but mainly make things like bags and carriers for the family. I like to wear dresses in the warmer months, so I prefer sun dresses that are well fitted and have good support in the straps. I like black and white colors, but brighter colors like reds, blues and purples are lovely too. I like to wear your basic little black dress. Plain and simple is my style. My favorite style of dress to wear is classy, feminine and flowingly flared to fit flatteringly. I love traditional wrap dresses. Flattering and easy to wear. Timeless! I love casual dresses with pockets! I think fit and flare is my favorite cut of a dress, though, because it looks great on any body type. I don't wear many dresses but I like a nice shift dress. I love a maxi dress-can be worn anywhere! I love fit and flare dresses. They're flattering on my figure and are flirty yet comfortable! My favorite style of dress to wear is empire! I love a cute summer dress, but in winter I'll definitely rock a comfy sweater dress. I love A-Line dresses. I believe that's what they're called by the cinch at the waist and make you look like you have an hourglass figure! I like to wear short and flowy dresses with a fun pattern! Shirt style dresses are also great... and agree that pockets are a huge bonus! I love cotton sundresses - especially if there happens to be pockets sewn in! I don't wear dresses very often but I like the vintage halter style with the flared knee-length skirts. So fun to wear. I love classic A-line dresses. They'll never go out of style, they're universally flattering, and you can accessorize them to your heart's content. I've recently gotten into maxi dresses. I LOVE them for the summer. You just throw one on and walk out the door. I am a bigggg fan of maxi dresses in the summer and sweater dresses in the winter. I just like to be comfy. I love wearing fit and flare dresses because they are flattering and cute! All these patterns are really cute for young thin girls/ladies. But what about us golden not so thin women? I feel the same way, I've had a breast removed due to cancer and have problems wearing a bra now. Plus I am big in size and cannot stand hardly anything around my waist. So I make long and short moo-moo type dresses and add accessories like ric-rac, piping, and other things to make them a little more stand out so I don't feel so aweful. I would post pictures if I knew how only I don't. But they're not so hard to make if you have one or can get one and are creative. Hello! Thank you for your feedback. We have added your comments to our quarterly innovation meeting. These meetings help us to best determine the need of our readers. If there is an advertisement that you feel particularly strong about, please send it to our customer service team here: http://www.allfreesewing.com/index.php/hct/contact == _us_page Thank you! I just love this site. I wonder though what happened to all the community vocation courses we had that we could just for fun like sewing, painting. The site is awesome but the interaction would be more inspirational...just thinking out loud. I plan on making the caftan dress. I love easy and roomy, especially in the summer, but this looks like it would be great around the house in the winter if made from fleece, which also doesn't fray. Another way to cinch the waist is to include ribbon ties on either side which can be tied in the front, or to stitch the ribbon on the back to be tied in the front. An applique or flower can be added over the stitching to make it look like a design detail. love this site, but isnt there any magazines tht can send for in uk, they all seem to be usa? Please send me any dress patterns: They can dress patterns for women size 16 and 18. Plus any baby clothes and for little girs of size 14. I came here looking for patterns for baby dresses. I would like to see more options. The ones you have are cute, but there are just very few. I agree about the pop-ups. The doggie dentures pop-ups have just about turned me off. I love the patterns and ideas. Just not so many crazy pop-ups. Cute ideas but wading through the pop-ups is unbelievably annoying. I won't be a frequent visitor. Great ideas. I want to come back on the website when I have more time and really explore. Thanks for the ideas.